I’m going into my eighth year of having an HR blog. It’s something I truly enjoy. It gives me a chance to share my thoughts, perspectives and ideas. I have always liked being creative, and having a platform like this gives me a chance to see what hits the page. I was a relatively early adopter of HR blogging and I admired the folks who were already active, visible and vocal when I started. Many of the bloggers I read have tapered off. I understand that. It’s hard to come up with content, be consistent and sustain a blog. I miss seeing their work, but appreciate all that they did to bring the world of Human Resources to the business arena !! Now, there are several new HR professionals who have started their own blogs. They are at various stages of their careers and come from different industries. It’s honestly exciting and reminds me of when blogging first began. At the same time, there’s a concerning trend that is honestly disappointing. I keeps seeing more and more tweets and blog posts bemoaning that these new bloggers aren’t sharing anything “new”. They only contain retreads of ideas. Or, even worse, people spending so much more time tearing the ideas of others down instead of trying to listen and understand someone else’s perspective. The darkness, negativity and cynicism seems to be rampant, growing and prevalent. It doesn’t make sense. When, in the history of society, did tearing things down ever result in building things up ?? I want to see this change. I want people to see people share all types of perspectives and insights. It’s not a matter of agreeing with everything that’s written. However, it does mean allowing all voices to be expressed. There is more than enough room for everyone’s blog. We don’t need to constrain things. Keep in mind that these new bloggers are reaching a new audience as well. The work they’re creating is solid and has real value. With that in mind, I’d encourage you to follow a new model – Write. Read. Share. As I mentioned earlier, writing for me is a release. I seem to have ideas constantly swirling around in my brain just trying to burst out. In fact, I write a weekly email for a global forum called the HR Net that I’ve been doing for 19 years. I write a song parody about HR and have written over 500 songs. Again, they just need to get out. Writing is cathartic. It’s key to get your ideas in front of others so they can be consumed, critiqued and understood. I think that getting your ideas down is where you should focus, and however you choose to approach this is fine. There’s no one method that works for everyone. The most important facet is to take the first step and write. I’m a voracious reader. I have been for as long as I can remember. I have two to three books going at a time, and they’re rarely from the same genre. I also read the blogs of many people they range from curated sites which gather the works of many authors to individuals who I enjoy learning from. You see, I read to learn. I don’t want to ever fall into the trap that my voice alone is all there is to know on any subject or facet of HR, work or life. With billions of people roaming the planet at the same time, I have to believe that they myriad of thoughts available is endless. Writing and reading are wonderful, but they are also self-serving. If I only express myself by writing and then only personally learn from reading, then the impact of that information is limited to my personal capacity. I think that sharing the work of others even more important than writing. I am a zealot about being others focused. It is in my core. I have never felt challenged, diminished or obstructed by shining the light on others. If you look back in history, the only way people learned was by sharing. From now on, be encouraging of others. Let’s stop the trend of negativity for good. You have the time. Remember this – If you have time to write, you have time to read. If you have time to read, you have time to share. Go forward and write what’s in your heart and on your mind. Read what others say and learn from them. And, share broadly and often so that our HR and business community can grow. Author Steve Browne (Admin)Posted on March 24, 2019 March 24, 2019 Categories HR, Social MediaTags Blogging, Global HR, HR, HRonPurpose, HRTribe, Human Resources, SHRM, social media1 Comment on Write. Read. Share. Do you remember when you when you were young and you’d have story time? I used to love it when my mom would read stories to me, and I loved doing it with my kids as well. I’m also old enough to remember the Bookmobile !! It was this giant converted RV/bus that would come to our town when I grew up in rural Ohio. The bookmobile was a mobile library where you could browse and check out books to read. People love stories !! In fact, the history of every society throughout time survived by people verbally sharing stories until someone invented writing and paper. Even with this, people wrote stories down with the intent that they would be shared and not just written. Ironically, it seems that now that we have technology which allows us to communicate instantly and incessantly, we’ve stopped sharing. We haven’t stopped writing or producing content in the least. The truth is that we are surrounded by countless blogs on a daily basis. However, the focus seems to be that people are just writing and posting their own content. Then it stops. I don’t understand this, and I’ll be honest, I feel that my approach runs contrary to the norm. 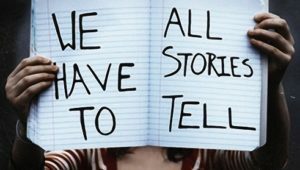 I think that great content (stories) needs to be shared with others. I love to see the perspectives and viewpoints of other people because I learn from them. My question is – How can others learn from this great content if you’re only willing to share only your own work? Who’s going to curate all of these great stories and share them? The Bookmobile worked because it brought books directly to people where they lived. We have an opportunity to do the same thing by sharing blogs on social media platforms. We can bring the great stories being produced directly to people around the world with the click of a button. It’s an incredible opportunity to make sure that many people learn on an on-going basis. Now, I’ve had this discussion with others and I get reasons from them about why they don’t share other’s work. Some say it’s because their content helps them generate revenue or they have sponsors. I think that’s great, but there’s so much room out here for new content and ideas that you’re not impeding on others or losing sales by sharing the work of other people. You just aren’t. I’ve also heard that sharing the blogs of other people takes too much time. That seems odd to me because it takes less than 30 seconds to share a blog and far more time to write and produce one. Trust me – if you have time to create, you have time to share. This week I encourage you to start a new habit. When you hear or read a great story, share it. Don’t just enjoy it and let it sit. Think how much more information could be sent all over the world and get to HR practitioners and business people who could benefit from something you read. From now on . . . share stories. Author Steve Browne (Admin)Posted on August 26, 2018 Categories HRTags Curating, HR, HR Blogs, Human Resources, SHRM, social media5 Comments on Share Stories !! To Blog Or . . .
I’ve been blogging on a weekly basis for over seven years now. It’s something that I truly enjoy and hope to continue for years to come. Sure, it’s tough to come up with new “material” all the time, but that is part of the challenge. I have a handful of friends who have been blogging for longer than I have, but that number continues to unfortunately shrink. I understand that it takes a ton of energy to write – more than most people think. I also get that you can tire of blogging, lose interest in the passion you once had, or you have other circumstances in life that pull you in new directions. I’ve noticed a few new movements in social media that honestly excite me instead of discourage me !! Podcasts – More and more of the “original” HR bloggers are now starting podcasts. They are still sharing their voice, but in a different format. Podcasts are fantastic and diverse. You can find them on HR, business, the arts, etc. It’s a great way to broaden what you know. I hope that these friends continue to blog, but as long as they’re sharing – I’m good. New Voices – There are many new voices who have begun to blog and they are in various stages of their careers. I love hearing what they have to say and their perspective. Yes, they’re covering some topics that have been blogged about in the past, but so what ?? I have added many of these new bloggers to my Blog Roll and I encourage you to check them out. HR Conferences – There have been bloggers who have attended HR conferences for years. They are brought in to provide coverage and share what they’ve heard in sessions. It’s a great way to get content out. I’m especially excited about the #SHRM18Blogger squad that has been convened this year. They have been very visible and active to bring the event to life even before it occurs in June. There is one trend I do not like to see, and that is when I hear about people who demand absolutes from blogging. The idea of “for and against” has rarely yielded anything positive. The reason for that is that if YOU are for something, then you see is has value. If it runs contrary to your beliefs or how you practice HR, then you tear it down. I’d like to suggest that we stick with a better approach and that is that blogs “inform” us. 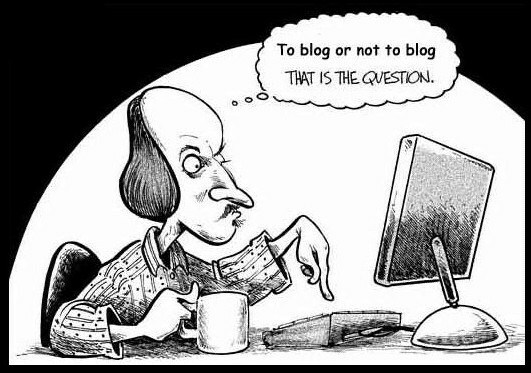 They always have and that is why blogging still intrigues me !! I want to be informed of views that both align and divert from mine. I love reading the blogs of many of my peers to learn from them. I don’t agree with all of them, but they give varying perspectives. That is the beauty of sharing thoughts and ideas. I’d encourage you to start a blog if you want to share your voice. I’d encourage you to read other’s work so that you can see where people are coming from and be more informed. One other item . . . I encourage you to share the work of others. I know I’ve stated this many times before. In order to shatter the social media/blogging echo chamber, share the blogs of others. It’s not enough to “write into the wind”. I love to see other’s work shine and get spread around the globe. We have the means to do it. Please join me in this effort. Blogging connects us and makes us a stronger HR community. The stronger our HR Tribe is, the more we influence the industry and organizations. I look forward to seeing what continues to be written !! I choose to blog. Author Steve Browne (Admin)Posted on April 29, 2018 April 29, 2018 Categories HRTags HR, HR Tribe, HRonPurpose, Human Resources, SHRM, SHRM18, SHRM18 Bloggers, social mediaLeave a comment on To Blog Or . . . I was so geeked when I heard that my friend, Mark Hendy, was bringing the #HRMixTape challenge back for 2018 !! Being a giant music freak, I couldn’t pass this up at all. I wanted to take a different look for mix tape and focus on our interactions with employees. Working with humans is essential in all we do, and I’m sure you’ve run across these situations. These songs could be a great resource to be played in the background as you address things. Let’s jump in !! Instead of slogging through endless performance reviews that rarely move the needle, have a talk with your employees to see what they’d like to do in their roles and in the company. Getting clarity is far more valuable than any silly form or report card !! We need to allow failure to occur in our organizations. The constant push for endless perfection isn’t realistic or sustainable. Let people stub their toes. They’ll learn from that far more than trying to achieve 100% every day. Have some faith in them and show them some grace !! One of the best skills we can have ourselves, and develop in our employees, is the ability to make a decision and stand by it. There is far too much ambiguity throughout our organizations. Help people to be intentional and confident. You will enjoy HR even more when you do !! We always encourage companies to be filled with employees who feel they fit and can contribute. However, we rarely help people manage their careers. If we were more intentional about this and lost our unfounded fear, we’d have people choose to be with us and thrive. We’d also have people move on to new opportunities where they may fit even more naturally !! Your employees rock and so does HR !! We should be doing all we can to encourage them, lift them up and provide a positive work environment for them to crush every day !! Whenever Angus Young starts this amazing rif, my passion jumps through the roof. I hope yours does as well !! Well, there’s my #HRMixTape and I hope it gets you moving and grooving with your amazing humans on purpose !! Unless you’re a self-avowed hermit, you’re surrounded by people. It’s inevitable that there are humans around you the majority of your day. Since that is the environment you find yourself in, you have a choice to embrace it or avoid it. This isn’t due to where you fall on the extroversion/introversion scale. You will choose how much human interaction works for you – and you should. We all have a limit. If we cross that, we tend to get frustrated, flustered and annoyed. Being with people is more than just swimming among others as you pass through the hallways to their office/cubicle to have work related conversations. That type of interaction is necessary in order for good work to be accomplished. I would almost categorize those instances as “forced.” I don’t mean that you are reluctant to have conversations. It’s more like you have work conversations in order to get the next facet of your work at hand to move forward. They can be friendly, cantankerous or obligatory. They happen whether you “wanted” to have them or not. The difficulty I see that happens all around me is that these pass by conversations make up the vast majority of communication today. It’s not only at work either. When people are using social media, you get quick snippets of partial thoughts. Or, you may get a picture in time of a great event or accomplishment. People taking time at home to truly interact without distraction is becoming an extinct approach. Again, I’m not making a right/wrong judgement here. It’s our reality and we need to acknowledge it. However, it doesn’t have to define us !! Taking time to develop relationships has become a lost art. Unfortunately, the word “relationship” has been tarnished because of the unacceptable actions of some. That doesn’t have to be the case. Investing your time with others is incredibly valuable, and also necessary !! We are never fulfilled when we only have pass-by conversations. We feel that something is missing because we can’t keep current with the pace. We don’t push through it enough because we’re concerned that the other person won’t reciprocate. I haven’t found that to be the case. 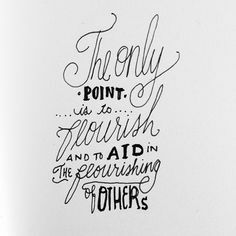 In fact, I think people flourish when you give them your intentional time and attention. I’d like to propose a different approach for you personally and especially if you’re in HR. Choose to have relationships that flourish !! I think there are different gradients in this and you need to read the other person to see when they feel that things are full. Respect that. I mean it. Flourishing relationships have balance, mutual levels of input and especially authenticity. You can’t “fake it to you make it” and have a meaningful friendship. I’ve mentioned this in the past, but I use my commute differently than most. I’m in the car about an hour each way to and from work. Every night I call people and have long conversations. We talk about work, HR, life, etc. There are inevitable times of laughter as well as times of deep philosophy. We may argue various styles of music and ask for each other’s support in the situations we are each facing in life. The point is this. I want to pour into their lives so that they will pour into the lives of others !! I know that every moment I can invest in the lives of others that they will invest in others as well. When this happens, then lives improve. 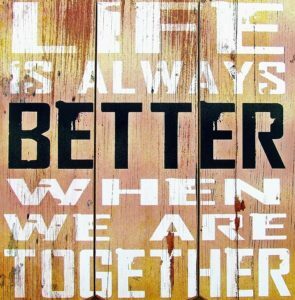 When lives improve, relationships improve. And, when relationships improve that grows into other relationships to improve the workplace. This isn’t Utopian. It works. So, this week in the midst of the pass-by snippets of conversation that will still fly around you, invest in someone. Start with a close friend. Make that relationship flourish and then build from there. You’ll be glad you did !! Author Steve Browne (Admin)Posted on January 28, 2018 Categories HRTags employees, HR, HRonPurpose, Human Resources, relationships, SHRM, social media, workplace2 Comments on Just Flourish !! I’m just getting back into the swing of things after enjoying a week with my amazing wife wandering through New England. We did more of an “off the beaten path” vacation with a mix of historical sites, lighthouses, touring towns and just soaking in a different culture. One place we visited was Concord, Massachusetts. Yes, it was interesting to see the site where the Revolutionary War began, but it wasn’t what I’ll remember most. In the heart of this quaint town is a cemetery. It’s called the Sleepy Hollow Cemetery. 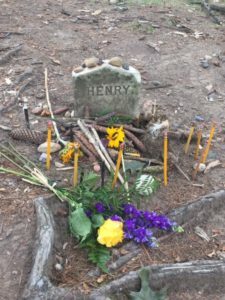 What makes it stand out is something called Author’s Ridge where several noted American authors are buried including Louisa May Alcott, Nathaniel Hawthorne, Ralph Waldo Emerson and Henry David Thoreau. We walked through the winding paths until we saw the headstones of these memorable folks. Standing there under the trees while a light breeze blew by was moving. I just stood there taking it all in. I wondered if any of them thought that 150 plus years after their passing that anyone would be visiting their graves. I doubt it. However, I do believe that they wanted to share the creativity and thoughts within their minds. I believe they wanted to capture the world around them as they saw it. Their legacy is still read and studied throughout high schools and colleges around the world. I think they’d be somewhat surprised to know that their written word would have such a lasting effect. I blog to share my voice, as do many others. I want to capture the world around me and help shape a view point that runs counter to the culture that continues to want to tear things down instead of build things up. I don’t pretend to think that my words will be remembered or celebrated 150 years from now. In today’s society, it’s rare if a blog post lasts more than a few days. That’s why I want to encourage you to do something different than what I see happening. First of all, if you feel you have something to share – write. Start a blog for whatever you want to put out there. It could be about HR, business, your hobby – literally anything at all. I know there are people who say that there are already too many blogs, but I don’t buy it. Blogs are a way to communicate. It’s worse to keep it in. Give it some thought before you jump in, but give it a shot. Secondly, share the blogs of others. The authors I visited didn’t write to just hear themselves. They wanted others to experience their work. I see most people write their blog and then share it over many social media forums. I think that’s wonderful to see. However, I think it’s only a start. Sharing the writing of others has more reach, impact and gives things more life than only posting your own blogs. This practice also runs counter to the norm, but it makes sense to me. I enjoy the work of others and want everyone to learn from them as well as connect with them. I think the way to break the “echo chamber” is to keep sharing the blogs that I read and not just my own. There are many facets to one’s legacy. I know that writing is one way to establish yours. So, start composing and then start sharing. Let’s see where it goes. One thing for sure is that it has a better chance to last !! Author Steve Browne (Admin)Posted on June 4, 2017 June 4, 2017 Categories HR, Social MediaTags connections, HR, networking, SHRM, SHRM17, social media4 Comments on IRL !! You Have A Choice !! Have you been watching social media lately? Even if you aren’t on the forums, the media makes sure to share tweets from political candidates. There’s one consistent feel to the majority of what is being shared – negativity. Honestly, most of what we consume is negative. We either swim in it willingly, or we get frustrated because it seems that we can’t escape it. What is ironic is that we’re expected to make a decision on things like an election by all sides slinging mud at each other. It isn’t only politics. Stories of the failures of others makes up the majority of our “news,” and we don’t cover all items – just the ones that are the grimiest. A great friend of mine and I had an exchange this week on social media where he stated that he might just stop participating on the forums because all he sees is negativity. It was a solid observation, but I jumped in and challenged him. I agree that there is so much darkness that is around us, but I think you can be genuinely positive. One of the choices you have, which my friend shared, is to step away and stop being active on social media. I’m floored by the number of my peers who used to encourage and espouse the value of social media who are now silent. I miss hearing their perspective and insights. I respect this choice, however I would much rather hear from them. Another choice is how you use social media. Every time you get on a social media platform, you have a moment before you post. It may be a brief moment, but it exists. Instead of instantly lashing out and reacting to what someone says, step back and think. Then respond. I don’t feel comfortable in throwing out extreme views, although I understand why people share them. When you’re as emotionally vehement in return, why are you surprised when people dig in on their sides of an argument? When I respond, I choose to be positive. It’s not hard for me to do, but it goes against the tide of the majority of messages. I think that going against the flow is what is needed – especially on these forums. You have to trust me that I’m not naive or sheltered on what is happening in the world today. However, adding to the negativity of a situation only continues to pile on and drive it further down. People are looking for an alternative voice, and that voice is positivity. I’m not talking about puppies and unicorns. I am talking about seeing what’s good in others and how to arrive at solutions. I am talking about having discussions, and even disagreements, on items. I am talking about lifting others up to encourage them and show them that they can contribute, add value and succeed. This is the choice I make when I use Social Media. Will you join me in going against the flow? I hope you do. You just have to make a choice. Author Steve Browne (Admin)Posted on September 11, 2016 Categories HR, Social MediaTags Approach, Choice, Difference, HR, HRPositive, Human Resources, SHRM, social media, workplace14 Comments on You Have A Choice !! I’ve been active and visible on Social Media forums for many years now. I enjoy them immensely and find them to be great methods of connecting with others across the globe, a simple mechanism to share the work of others and an overall great way to communicate. If you’ve been out here for any length of time, you see lists. The lists have great intent, but often bring up harsh emotions. People struggle with lists if they aren’t included, and that reaction is senseless. One of the serious downsides to social media is that we are so fixed on wanting to see our name, face, and posts. We measure and obsess over the number of shares, likes, retweets and followers we have. It’s odd because they are just ways of measurement. How can something not have value if you’re not included ?? I understand that many folks use social media to conduct business, make sales and establish/maintain their brand. I’m all for it, but it gets way too much of our attention and it seems one-sided. A great example of this where you see people really jump is when people are considered “influencers” in these lists. I have a feeling that the moment influencer lists are published, the doubt, skepticism and scoffing ensues. When it does, it’s brutal and unfortunate. I’m sure when people were compiling their lists, they had the hope that who they listed would be geeked and share that they were included. That happens, but the wave of sentiment against the lists far exceeds those who are excited. The overall problem to all of this is that I think we’ve absolutely missed what influencing others means. It has so little to do with social media, but that’s where we feel it should be. Influence naturally lies within all of us. The question is whether we recognize and own it or not. You see, in HR, we are rarely alone. We swim in a sea of people. Unfortunately, I hear too many of my peers complain about this constant reality. We miss the opportunity to truly “influence” people because we tend to down play our interactions with others. Instead, we give our attention to the situation or problem we’re addressing, and then coming up with some rock solid solution. If the only reason you’re in HR is to solve other’s problems, change occupations. People aren’t problems. We may all have problems and struggles in some fashion, but to immediately categorize someone as someone to fix, you have a negative view of humans. Influence can be, and should be, positive !! When it’s used for negative reasons, it is often short lived but it also can do incredible damage. 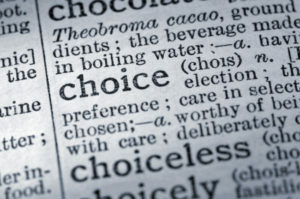 You have a choice to not allow influence to be used in that way. It’s incredibly difficult to be a positive influence in today’s workplace and society. However, it is what we are called to do. You have the chance to influence every, single person you come across. Not one person should pass you by without you interacting with them. Not one. That may seem daunting, but it’s very doable with some effort and the desire to be intentional. Something as simple as a smile, a “Hello”, and the willingness to stay and listen to how they respond, may seriously make all the difference they needed that day. That small action is more influential than any list on social media EVER will be !! The chance to be an influencer is available to you and it’s time you step in. People need your influence, and I can’t wait to see how you positively impact and change the lives of those around you !! Author Steve Browne (Admin)Posted on May 1, 2016 May 2, 2016 Categories HR, Social MediaTags Difference, employees, HR, Human Resources, Humans, SHRM, social media1 Comment on Be An Influencer !! I remain fascinated by the world of Social Media and how people in HR approach it. The majority of people are observers who may take in content every once in awhile, or venture out and tweet every so often. When HR conferences happen, people jump in full force and set up social media accounts and they are very active throughout the event. Then they fade back into the mix of the majority. Staying visible and relevant in social media over time is tough because it takes endless energy, creativity and a willingness to keep the fire burning. I haven’t seen many examples of people who do this well with one exception – The Recruiting Animal !! He was a social media pioneer and he has stayed true to who he is from the minute he burst onto the scene. If you aren’t connected to The Animal (@animal on Twitter), you should be. However, be warned that you better have thick skin. If I had to describe Animal it would be “what boundaries” ?? He has a long running blog talk radio show and he is very upfront with his guests that this won’t be a soft, self-serving interview where you both stroke each other about how awesome you are. He cuts to the quick and expects you to be prepared. Some people are taken aback by this approach, but Animal doesn’t sway. He stays true to his approach, and it’s incredibly refreshing !! Social media has become more about “look at me, look at me” than “look at others”. Animal has always looked out for the profession and has move recruiting forward more than others. His brash style runs counter to many folks who love hanging in the middle of the road. I’ve chatted with Animal once in awhile and we’re connected on Social Media platforms all over. He was (and is) an inspiration and a model to me because I dig his authenticity. I wanted to reach out and connect with the person behind the ventriloquist dummy avatar, and I’m glad I did !! He’s a thoughtful, passionate and insightful person. His desire to keep people alert and moving is needed in HR, recruiting and the profession as a whole !! One of the best ties I have with Animal is that he, John Sumser, Sylvia Dahlby and I share eclectic and vast music tastes. On a regular basis we share our “finds” on twitter under the #HRMusicShare tag. I look forward to seeing what Animal digs up and make sure that I reciprocate. We haven’t grown this little faction of the hashtag. We’ve stayed true to how it organically started, and I dig that !! I want to wish Animal a happy #TimSackettDay !! You rock my friend and I appreciate you modeling how to be authentic and genuine. I have a bucket list wish to be on your blog talk radio show sometime. And trust me, I’ll be prepared !! Here’s a find for you that I hope you enjoy on your day !! Always stay true to yourself my friend ! !